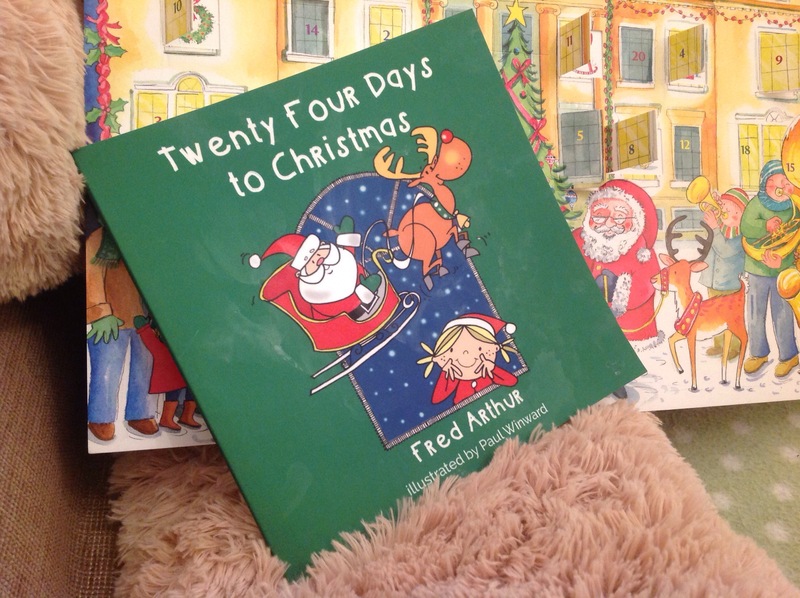 Twenty Four Days to Christmas, by Fred Arthur, illustrated by Paul Winward. This is an advent calendar book, in the sense that there is a story for each day of advent. It centres around the adventures of a little girl called Poppy during the long wait for Christmas. She enjoys different Christmas activity every day ranging from choosing a very special present for her Mummy, to visiting local National Trust houses to admire the decorations and taking part in her own nativity. Perhaps I am just grumpy that I can no longer get away with eating theirs undetected. This year, I purposefully bought myself one without chocolates to make a point (that blissfully flew over all of their heads without so much as a draught. Ho hum). Anyway, I digress. I love that Poppy’s adventures don’t focus on the fantastical or the outlandish, she genuinely has a Christmas activity every day that could be emulated by my own children. Particularly at the weekend, it can start discussion about what the possibilities are, without breaking the bank. They loved that too. We are particularly lucky, in the respect that we live locally to a number of the places referenced in the book. Buckland Abbey, Saltram. (I thought this was a cleverly constructed marketing strategy of my friend ‘Book Lady Kate’ but it was delightful chance that we knew a lot of the places talked about in the story. Just this weekend the children asked if they could visit Saltram ‘like Poppy’ so we obliged. There were a few awkward moments, namely with Daughter One knocking flying an information card and torch and Daughter Two interrupting the gorgeously festive carolling with ‘I WANT TO GO THE CAFE…. NOOOOOOOWWWWW!’ And who could forget my son’s cheerful announcement that hunting for the mice wearing woolly hats was far more fun than ‘Silly old Santa’s boring old sack.’ (reliving the part of the book where a Poppy goes on a hunt to find the clues for Santa’s sack – cue sniggers from husband). But the day was lovely and it was nice that a story had inspired our visit. This is a book that will happily join many others in our Christmas box of books and one we can revisit year after year, becoming a lovely tradition…that doesn’t make them run around like lunatics. (His younger sister was *unavailable for comment and his youngest sister was having a stand off with Daddy about a mouthful of broccoli and a raspberry fromage frais…they say never work with children or animals. Or children that are animals, it would seem). This is a good book for night because there’s lots of writing on the pages which means it lasts a long time when you read it at bedtime! It rhymes too which I think is good, because I like to guess what’s coming next. I’ve been to a lot of the places, like Poppy, which is really funny! [laughs maniacally for about a minute]. I do a lot of the things in the book too, like the garden centre and shopping. But Father Christmas didn’t lose a safety pin in his beard in the story like happened the other day. Dad nearly had to get an elf. [whispers] I think this Father Christmas might have been a helper and not the real one, but I’m not sure. We read it all at once (it was brilliant it took ages) so we could tell Book Lady Kate what we thought, but now we’re doing a page a day like you’re supposed to as well. A really welcome addition to our book collection, for this year and many to come. I thought so too Ewan!